I am a mug connoisseur, you know. I love mugs. Aaaaanyway, how old is Liv? 2? So it was just about 2 years ago that we finished our kitchen remodel, with the exception of a floor, backsplash and trim. Saturday, after telling Hub that I really liked the flooring I saw in the Valu ad, we decided to check it out in person. Before I knew it, we were pulling everything out of the kitchen and installing a new floor. And I was scrubbing down the fronts of all my cupboards and stove so they wouldn’t look dingy next to the new super fancy floor. And then I figured why not also scrub the fridge, and the top of the stove and the walls….and well damn, it turned in to a weekend project. Ok, I missed a spot on my kick plate. Whatever. I never dreamed I could be so in love with a floor. Of course, we still need to subfloor and tile the hall part of the kitchen, but the main area….well it is just gorgeous. It almost makes me want to become a clean freak….or at the very least, buy a steam mop. I even managed to read an entire book in between. Long live the Kindle. It was hard not to drag it to bed with me like the kids do their favorite toys. The only downfall of the weekend was Liv throwing her slipper down the open kitchen vent. Seriously. Hub has to open the duct up to get it out before we turn the heat on, and all Liv cares about is “where’s my nother one slipper?” She knows where it is though. She put it there. I caught the second one just in time. This girl. She tries me. But on the same token, she makes me laugh right out loud (unintentionally) so often. She is something else for sure. But yeah. Good weekend. Good weekend indeed. Nice floor! and yeah for the kindle – i want one. I have to say that I did buy a steam mop and I LOVE IT so . . . money well spent if you decide to go that route. Awesome floor! It looks great! What is it made out of? Happy birthday! 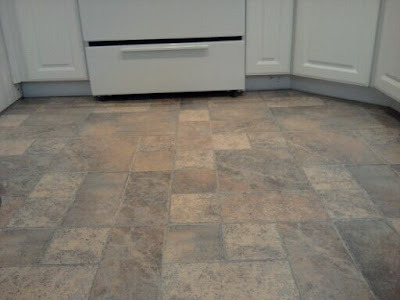 I love the floor… I have no problem with weekend projects when there is a beautiful end result like this. I love your mug, but I want to MARRY your floor. Jess- it is laminate flooring. It's hard like tile, but not ceramic. All the peices kind of snap together, so there is no grouting. It is AWESOME. Floor love. VERY nice floors! Gorgeous! I'm glad you had a good birthday!